It’s that time of year again, the supermarket there’s chocolate covered matzah and Manischewitz is on sale! Don’t get it yet? It’s Passover. Now, full disclaimer, I am not Jewish but I do join in my friends for the first night’s seder each year, and this year my son will be joining. 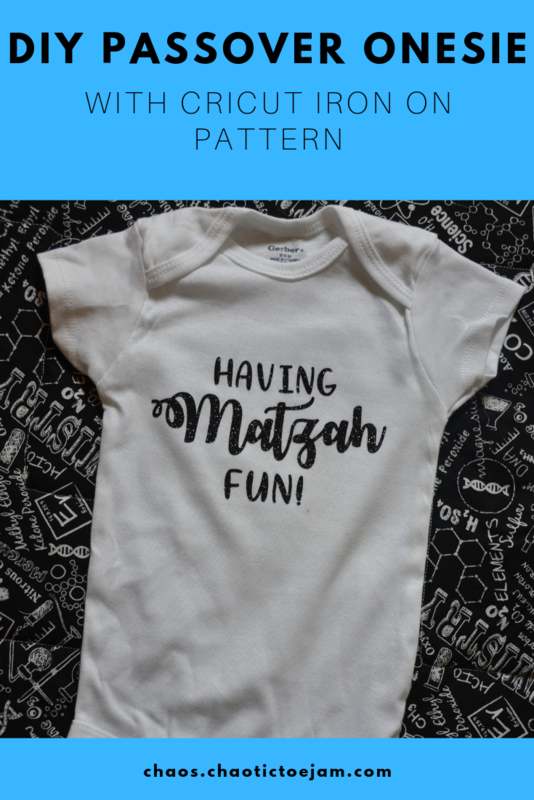 This is a simple DIY baby onesie for passover. 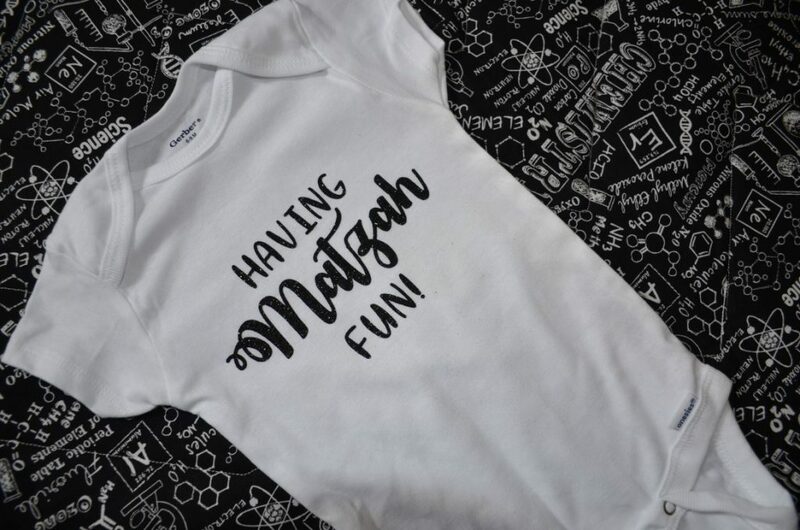 I used my Cricut maker to make the onesie for my baby. Follow your iron on vinyl directions and soon you will have this cutie done too!